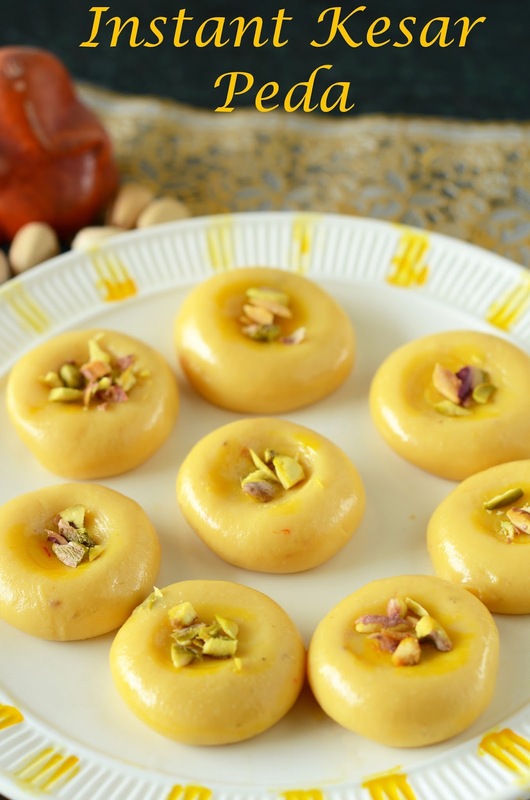 Instant Kesar Peda is a delicious Indian dessert recipe that can be whipped in under 15 minutes. 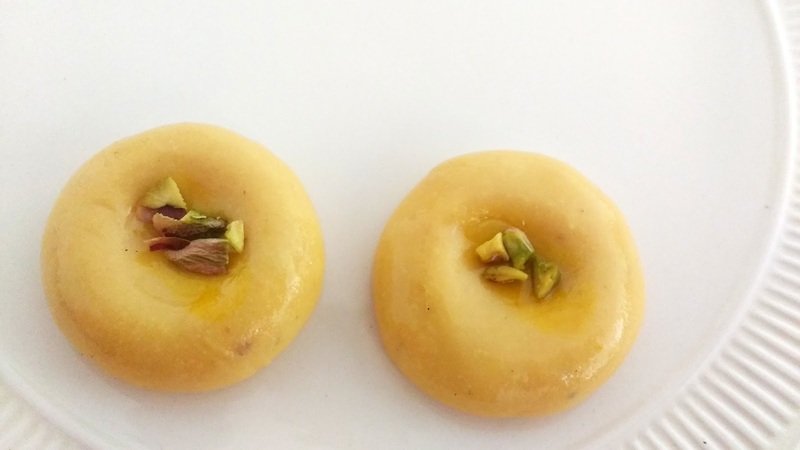 The traditional method of making Peda is quite tedious and time taking. 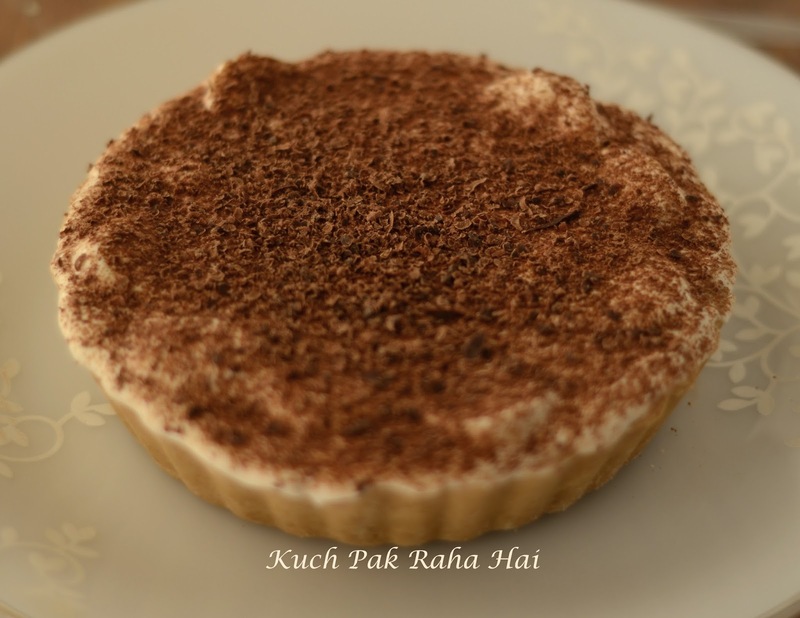 With such fast and busy life it is next to impossible to spend so much time in the kitchen. 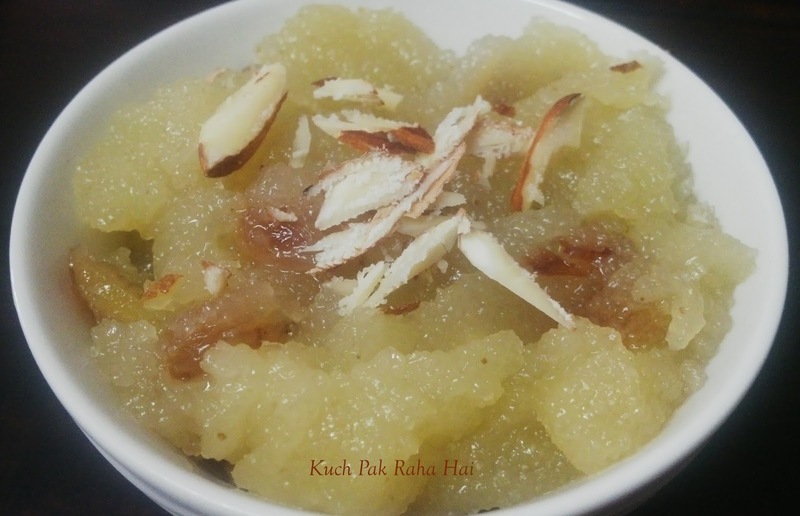 At the same time whenever the festivals are around everyone starts missing home made sweets. 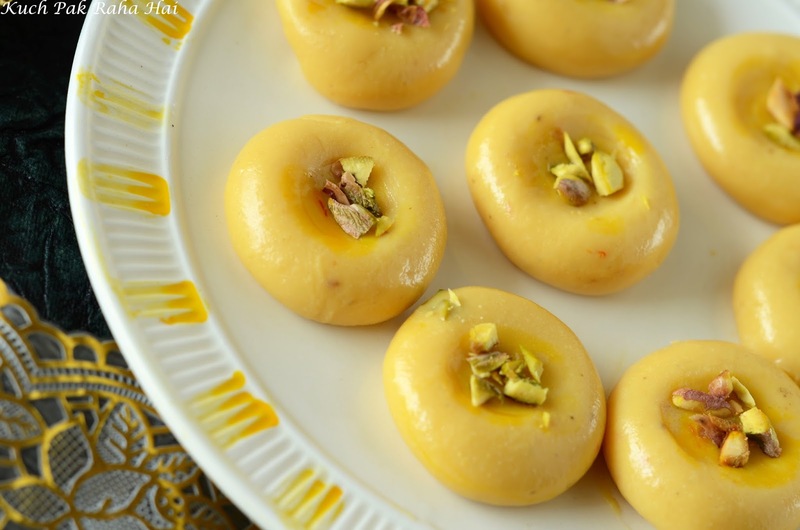 This Instant Kesar Peda recipe will definitely satisfy your sweet tooth, impress your guests and save lots of time as well. 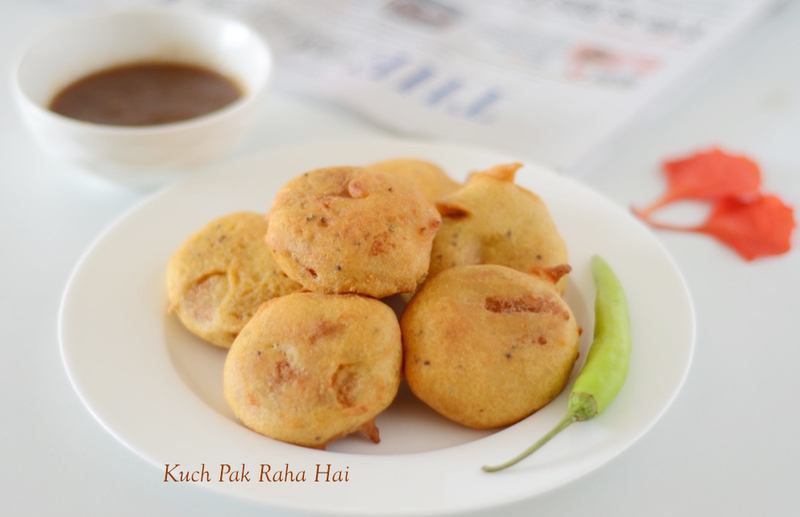 The two main ingredients of this Instant Peda recipe are condensed milk and milk powder. 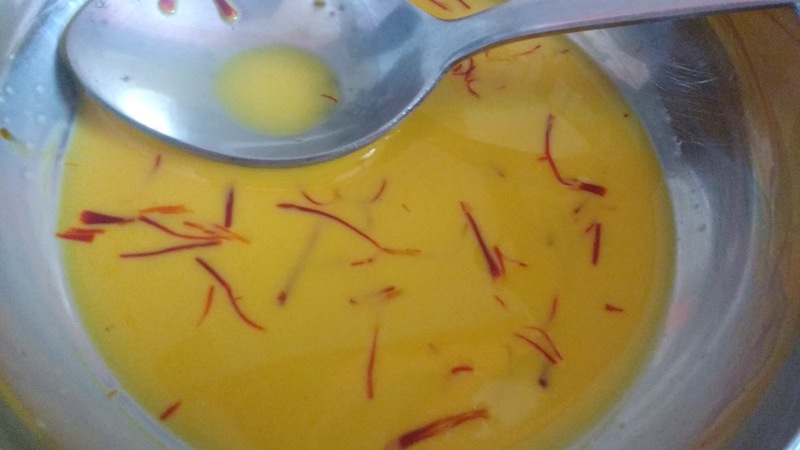 Adding saffron to it is a personal choice, however I like its addition in the recipe as it gives a beautiful colour and aroma. 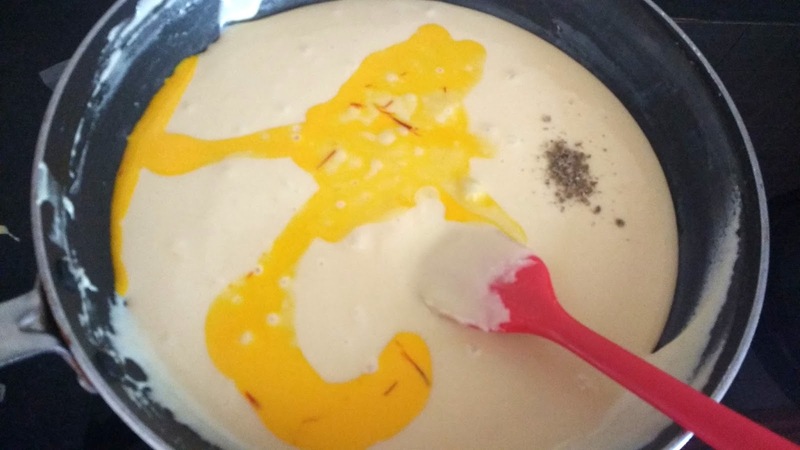 Initially I was skeptical about trying this peda recipe as I was doubtful that one may taste the presence of milk powder in it but to my surprise no one could even guess it. I have used chopped Pistachios for topping up the pedas. 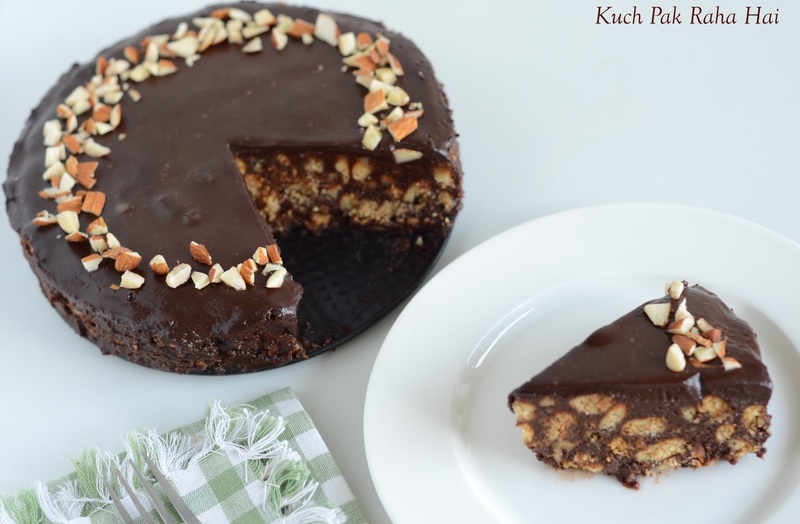 You can even use almonds, cashews or any other nuts of your choice. 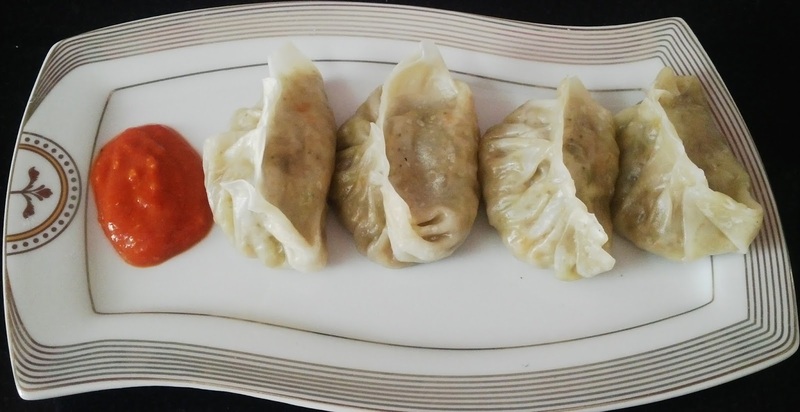 It is a kids friendly recipe as all the ingredients used in it are healthy in nature. 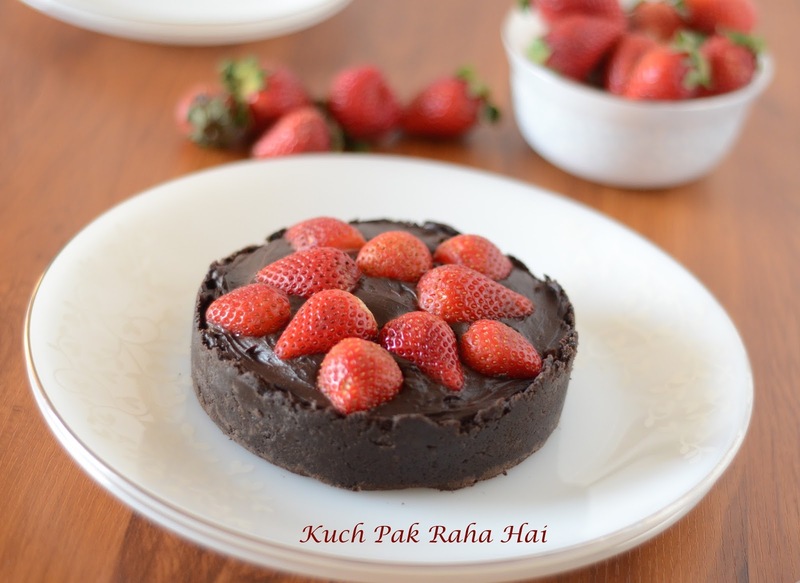 It is a gluten free dessert recipe. These days we get to hear so many news where sweets made of synthetic milk, harmful colours and additives are being sold in market. 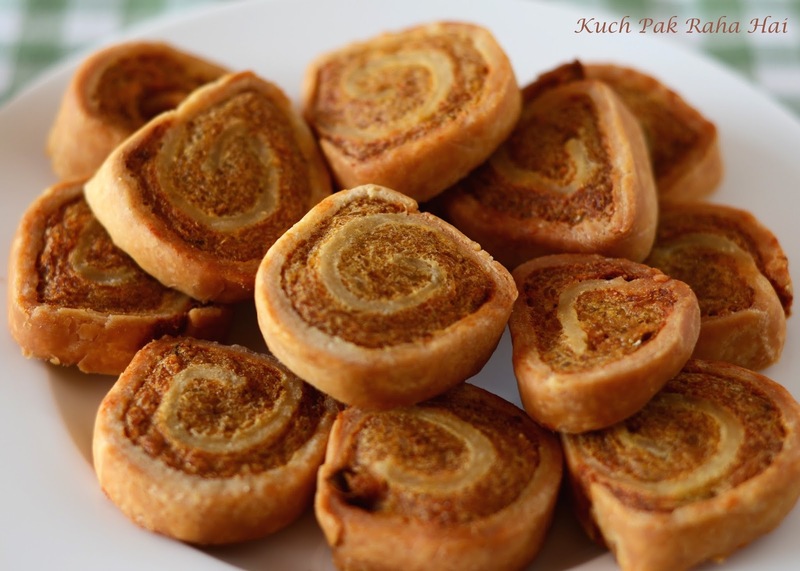 With home-made sweets you can always be sure that whatever you are feeding your family or kids, is pure and healthy. Some other dessert recipes which can be made in short time are shared on the blog- Coconut ladoos, Dates & Nuts Ladoo. 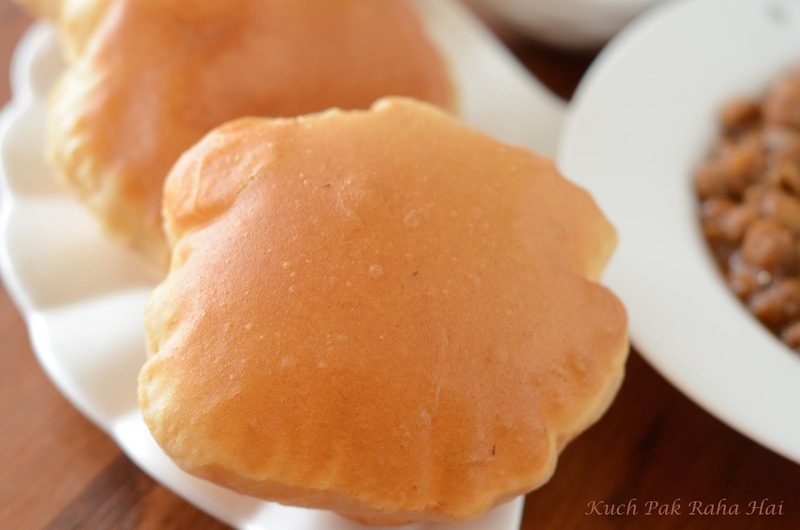 Hope you would like this short and simple Instant Peda recipe!! 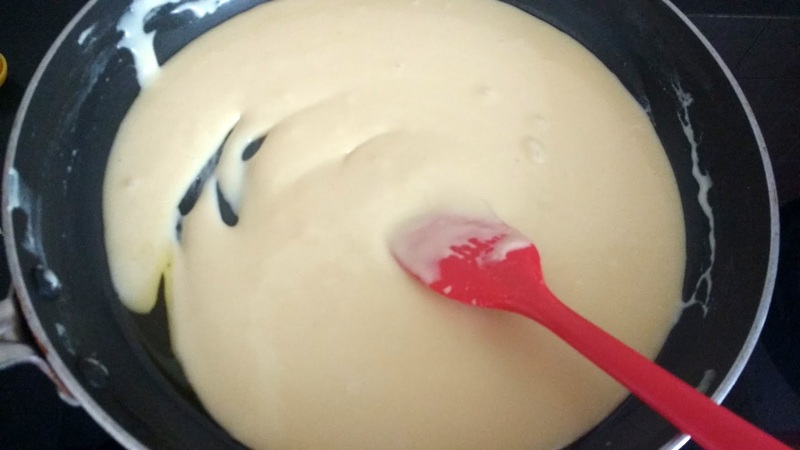 Warm the milk in a small pan or microwave. Add saffron strands to it. 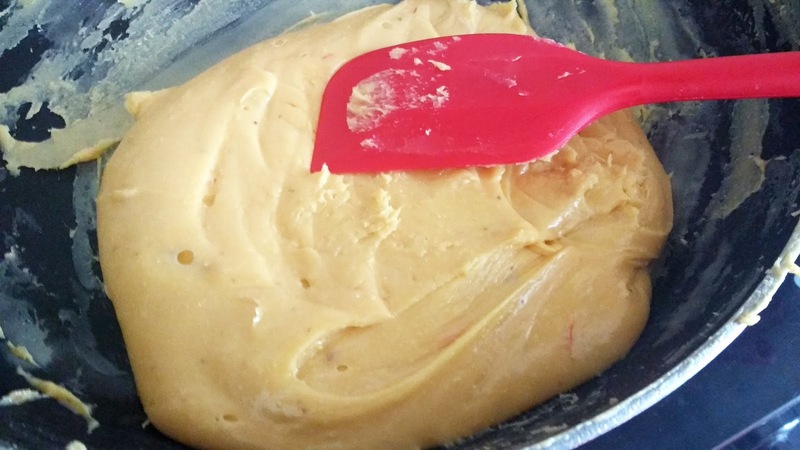 Gently crush the strands with the back of a spoon. This is being done to prepare saffron extract. Keep it aside. 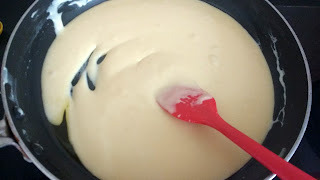 Take condensed milk/milkmaid in a mixing bowl. Add milk powder to it. With the help of a spatula or whisker mix the two ingredients well so that no lumps are left behind. Keep it aside. 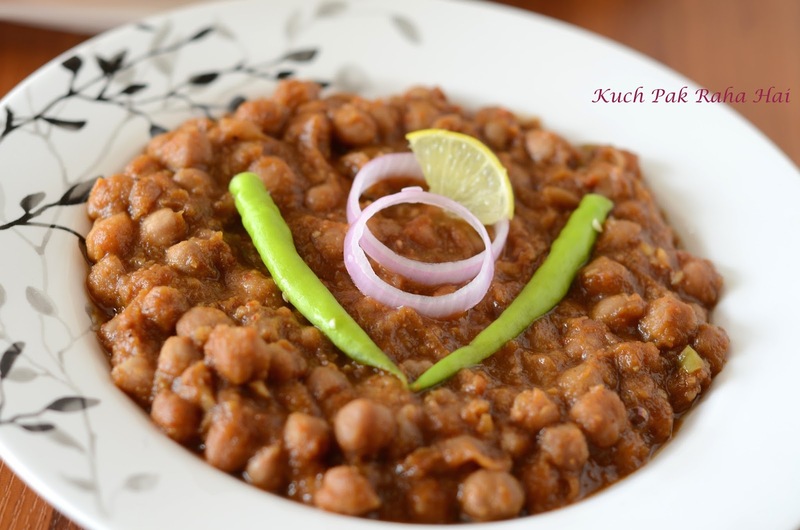 Heat ghee in a non stick or heavy bottomed pan. 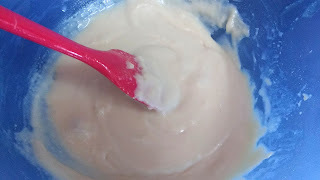 Keeping the flame on low, add the condensed milk and milk powder mixture to it while continuously stirring for 2-3 minutes. Add cardamom powder and saffron extract prepared in step 1. Stir well using spatula or spoon for another 2-3 minutes. Once the mixture starts coming together, switch off the flame. Let the mixture cool for 4-5 minutes or till it gets warm enough to handle. Grease your hands using little bit of ghee. 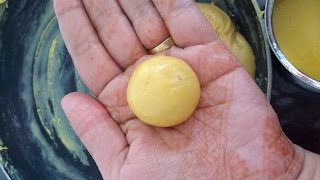 Take 1 tbsp of this mixture and roll between your palms to form a ball. Gently press the ball on the top using thumb to from a slight cavity. Sprinkle chopped pistachios/almonds in it and press gently once again. Repeat the process for whole mixture. 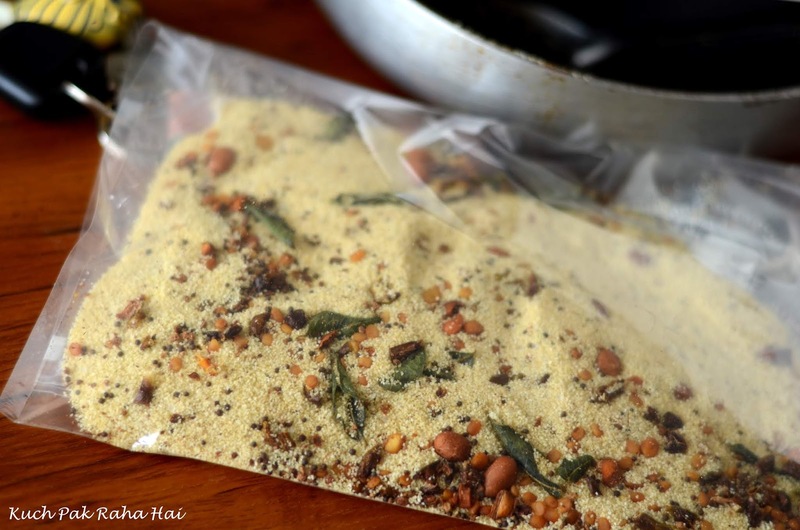 Place these prepared pedas in fridge to cool down completely. 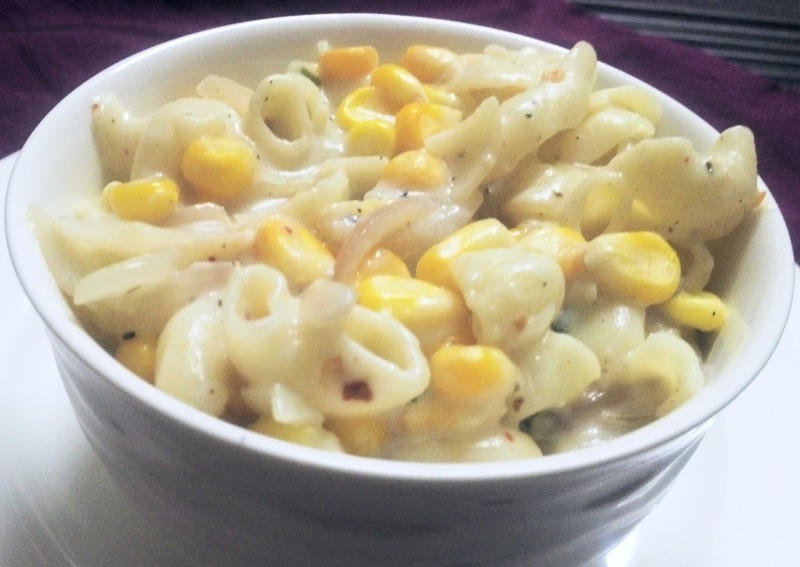 Keep them out of the fridge just 10 minutes before serving. 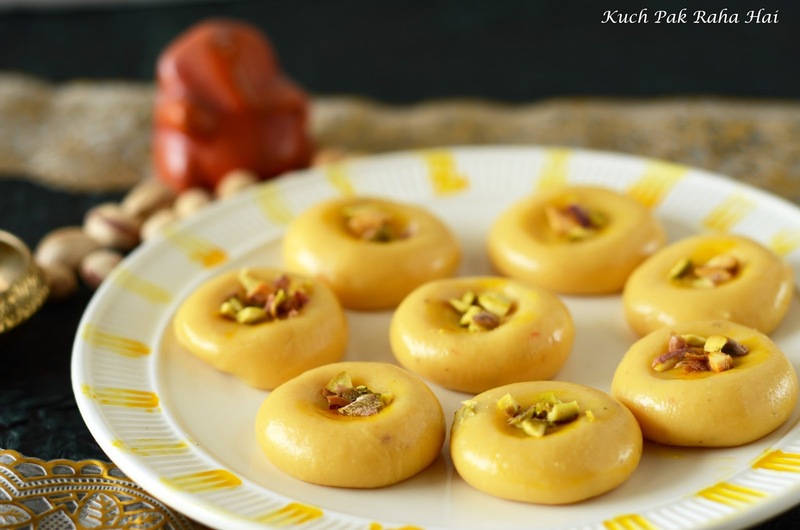 Enjoy the festivities with these delicious Kesar peda! !